After seeing the perfume bags during the Resort 2014 runway show, I spotted Miroslava Duma carrying it around the Chanel show during last Paris Fashion Week. Not a shocker, since she always seems to own the best Chanel items. Later on, she Instagrammed (is that even a verb?) a close up while waiting for the show to start. With only - or so it seems - a Blackberry inside, it makes me wonder how the bag opens. Does it open completely or does it stop half way through, hurting your hand trying to get something out of it? If you know, drop a comment in the box below. ... I spotted Diana from Dsaks In Style carrying the beauty in black. I can't remember seeing any other blogger with this bag, but she definitely has some amazing items in her closet. And here I am, dreaming about an unreachable item again. After all this time, I'm still head over heels for this bag. Good enough to make it into the 'Shark Attack Loves...' category. 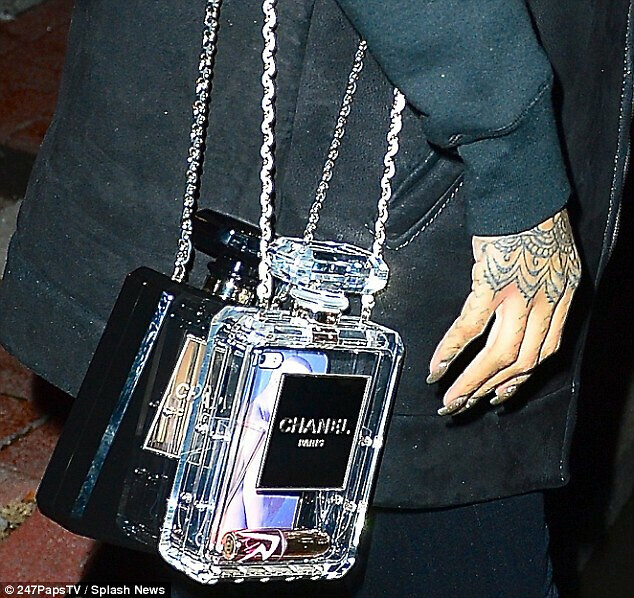 For those who are wondering: the Chanel N°5 perfume bottle bag will cost you about $ 9500. What do you think about this bag? Are there any other perfume bottles you would like to see transformed in a cute evening bag? Zo wil ik er ook wel eentje!! Deze stond ook op kerstmis wensenlijstje maar ik vrees dat hij er ook voor altijd zal blijven opstaan! Ik had hem nog niet in het zwart gezien maar zou dan voor de zwarte gaan, kwestie van toch nog een beetje discretie te hebben over je persoonlijke spullen. love the bag, but crazy price! omfg.. I am huge fan of this! Love it! It's in my own wishlist! Thanks for the comment, sweety!!!! 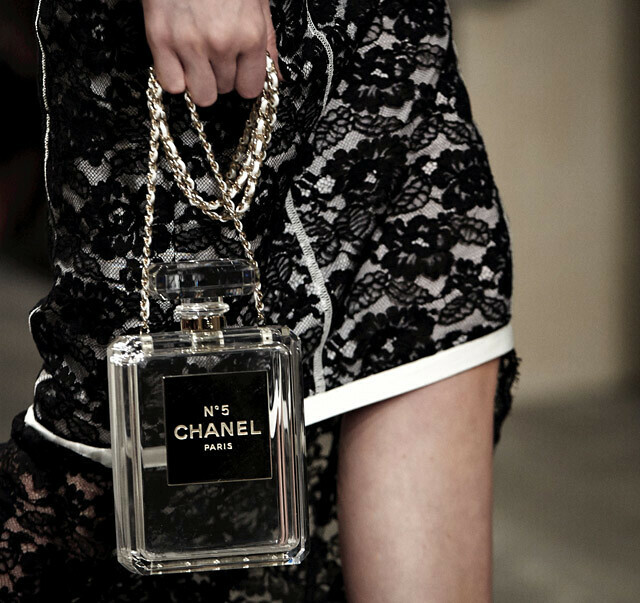 I like the transparent version of this bag! Hi dear :) amazing bag!!! 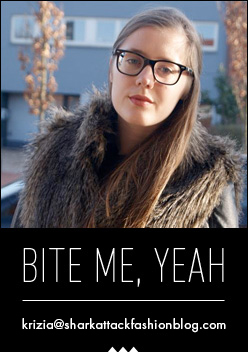 Héél erg cool, ik moet alleen nog even sparen ;-)! It is absolutely beautiful, I would get the black one though, I am not a fan of lucite!